Maria Athanassiadou was born in Khempten of Germany where she began dancing since she was four years old. She grew in Piraeus, while she maintains contact with her place of origin, the Episkopi of Imathia, Greece. Her Dance professional training began at the «Lyceum of Greek Women» in Athens and the Greek tradition. There she was taught the basics of Eastern dances, from basics professor, while she attended dozens of seminars of respectable Egyptian musicians and dance instructors. All these triggered her personal 12 year research for the ancient Egyptian dance. It is a study that includes a lot of information, based on Egyptian excavations and involves elements of Ancient Egyptian society, musical and dancing sector of that time period, findings that have been rescued up to today, despite their years’ alteration. Also, the study reflects a different point of view from the one that was expressed in the book by Irene Lexova on the ancient Egyptian dance (1935). The study and analysis of Maria Athanasiadou are under publication, after the approval by Egyptology University Professor, doctor of history in ancient Egyptian culture and foreign appreciable students in the proportional subject, the names of which are also published in the book. 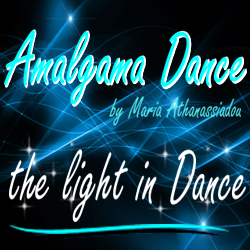 In September 2007, Maria Athanasiadou, completed her study in the sector of Dance Therapy. This sector is new to our country. In the view of this sector enlargement, Mrs. Athanasiadou applies voluntary programs in children and adults hospital [Pedon Hospital], in the association “The smile of child” organization and in the “association of volunteers in cancer”. Kinesiology study and application of ORIENTAL – RAQSHARQI in pregnancy with additional elements Lamaz and Shakti. HONORARY PLAQUES FOR the ORGANISATION of 4th – 5th – 6th – 7th – 8th – 9th – 10th INTERNATIONAL FESTIVAL of TRADITIONAL DANCES IN THE ZEYGOLATIO, N. KORINTHIA. PRAISE OF 1st ELEMENTARY OF SCHOOL OF NICE, 13th ELEMENTARY SCHOOL OF NICE, 11th HIGH SCHOOL OF NICE FOR THE OFFER IN THE TEACHING OF TRADITIONAL DANCES. HONORARY PLAQUE OF COMMERCIAL CHAMBER PIRAEUS FOR THE CONTRIBUTION IN THE RESCUE OF TRADITION. REWARD OF DANCE COMPETITIONS IN FESTIVALS OF MUNICIPAL SCHOOLS WITH THE ORGANISATION OF CULTURAL ASSOCIATION “ROOTS”. REWARD OF COMPETITION IN THE CREATION OF TRADITIONAL OBJECTS ORGANIZED BY MUNICIPALITY KORINTHIA. 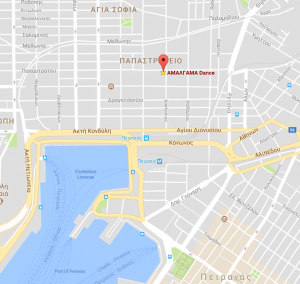 REWARDS OF COMPETITIONS OF CHOREOGRAPHY OF – IMPROVISATION IN GREEK POPULAR DANCES OF PIRAEUS PREFECTURE. PRAISE FOR THE DECENT CONFRONTATION OF “TRADITIONAL PROCEEDING” IN THE ORGANISATION OF FEASTS OF SPRING FROM THE WOMEN OF CRETE AND AEGEAN ISLANDS ASSOCIATION. HONORARY DISCRIMINATION OF DANCING TEAM IN FIRENZE ITALY, 1995. HONORARY PLAQUE FOR THE APPEARANCE OF DANCING REPERTORY IN CITY JIRKOVISTE, ROMANIA. COMPETITION OF DANCE 1 – 3 AM. STYLE, 1995, (1st Position). Maria Athanasiadou has in her asset more than 3 thousands performances and dancing appearances. Some of them took place in Ancient Herodeio Theatre, Beakeio Theatre, Peace and Friendship Stadium, Olympic Stadium, Katrakeio Theatre, in theatres and rooms of big hotels inside and outer Greece. She taught kinesiology and dance at the superior faculty of dramatic art of Piraeus Association. She did the choreographies of the dancing pieces of the “1000 and one nights of” play, Kastalia Reperoty in the theatre Setas in Evia. In dancing events with partner or dance teams. Presentation of pot – pouri choreographies in «dancing nights» in terms of the organization of cultural institutions. Musical producer and broadcaster of radio emission “the Wealth of tradition” in the radio of Piraeus Church for 5 years in a raw. Organization of the 2nd Pan-Hellenic competition of oriental dance 2007 with 92 attendances. Regions that took part: Crete, Kavala, Volos, Chalcis, Alexandroupoli, Rhodes, Thessalonica, Kalamata, Chios, Veria, Ioannina, Patras, Athens. Mega, antenna, sky, alpha, ET1, NET, ALTER, ANTENNA radio, 2nd program of Greek Broadcasting Corporation etc.